Hey y’all! My name is Courtney Starns and I was born and raised in a small town in Oklahoma. 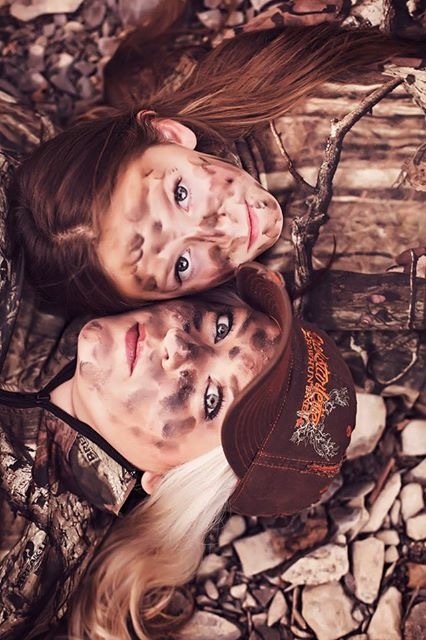 I am a single mother to a little 7 year old girl named Camden, and she is my little hunting buddy. Anyone who knows us, knows that we spend the majority of our time outdoors. Growing up, I never really had a mentor to “show me the ropes,’’ so most of my knowledge, I have acquired on my own. I enjoy sharing that knowledge with my daughter, and absolutely love watching her learn from her experiences. I am extremely passionate about sharing my adventures with others in hope to inspire other women/men to get their children outdoors. I truly believe that is not what we leave for our children, but rather what we leave IN our children that matters. I believe the sky is the limit, and God works for the good of those who love him. With a little faith, patience and persistence, anything is possible. Most Memorable Hunt: While every hunt is memorable to me, I would have to say that the most memorable was our most recent hunt. My 7 year old daughter, Camden, drew a 2-day youth rifle hunt on Indian land near our hometown. Upon learning that she had received this opportunity, she was extremely excited and asked that her Uncle Jayden accompany us on the hunt as well. We spent two days in a few different places on this unfamiliar land with hopes to get Camden her first deer. After no luck, and only a few hours remaining, we decided to take our chances and move our blind near the water source in the area, about 50 yards away. Shortly after relocating the blind, a nice doe came in for a drink of water, and presented Camden with a shot. Using her .223 rifle, she was able to make a perfect shot on the doe. We watched her run uphill, and started on the blood trail. Camden spotted the first sign of blood, and held on tight to the leaf. She started trailing instinctively and followed the blood to where we ended up finding her first kill, around 100 yards away. As soon as we found her, my daughter’s first words were “Can we skin her now?” We loaded her up on the Mule, and Camden requested that she ride in the back with the doe on the way back to the ranger’s station. Once at the station, we hung her up and Camden and I cleaned, skinned and quartered her first deer together. On the ride home, she called all of our family and demanded they meet us at home to enjoy her first back strap together on the grill. This is definitely a hunt that I will cherish forever! Favorite game to eat and how to prepare it: Venison is by far, my favorite game to eat. I don’t think there is anything that beats a fresh back strap thrown on the grill, but my family particularly enjoys chicken fried venison. To start, slice your back strap in steak portions. Salt and pepper each piece of steak and set aside. Combine 3-4 eggs and 1 cup milk in a small dish and mix together until the eggs are blended well with the milk. Create your flour mixture with 2 cups flour, 1 teaspoon each seasoning salt, black pepper and garlic powder. Dip the prepared steak in the flour mixture, coating well. Dip the steak into the egg mixture, then again in the flour mixture. Lay the steak on a plate until all the steak has been dipped. Fill a large skillet half way up with oil and heat to a medium heat. Add the steak a few pieces at a time, and turn when the edges are a golden brown. It just takes a few minutes on each side.That’s all! Easy, huh?